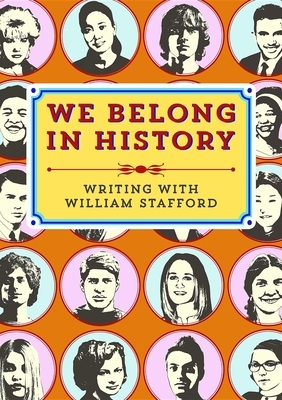 We Belong in History celebrates William Stafford's life as a writer, teacher, and Poet Laureate of Oregon. This collection presents excellent student writing inspired by his work, a selection of Stafford's work, and three sets of lesson plans written by teachers. This allows teachers everywhere to inspire their own students to write in response to Stafford's work. With an introduction by current poet laureate of Oregon, Paulann Petersen, teachers, student writers, Stafford-admirers, and poetry readers will enjoy We Belong in History's celebration of the joy of writing.